It’s Monday, June 24 – From HPR2, it’s The Conversation. Ivette Stern is a Junior Specialist with the University of Hawaii – Center on the Family and the director of the Hawai‘i KIDS COUNT project. Her work focuses on assessing and evaluating the conditions of children and families in Hawai‘i to create or adjust public policy and programs. The link to the 2013 Data book. 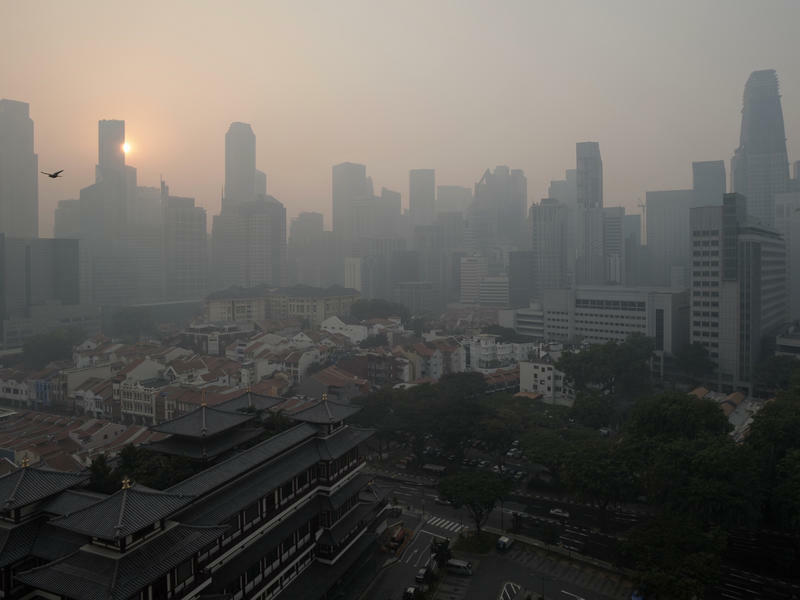 Face mask-clad Singaporeans enduring record-breaking smog got some more bad news from their government on Thursday: The pollution may last awhile. The choking smog that blanketed the city-state earlier this week, generated by burning clear-cutting fires in Indonesia, has gone well beyond the "hazardous" level on the Pollutant Standards Index, hitting 371 on Wednesday before coming back down to about 250. The previous record was 226, reached in 1997.